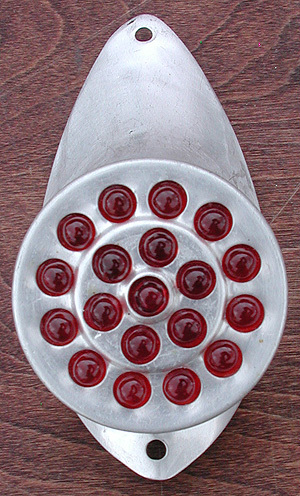 7/8″ Diameter Gem Cut (Facetted) Glass Jewel Reflector for Vintage Schwinn & Antique Ballooner Tank Bicycle racks & fenders. 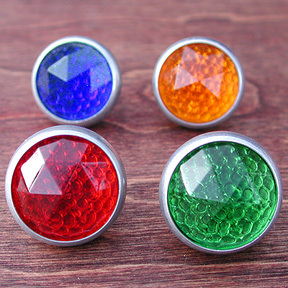 Available in 7 colors: Amber, Blue, Green, Red, Clear, Clear Rainbow (Polarized), and Yellow. 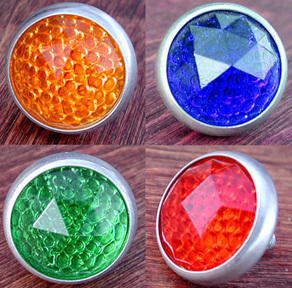 This is a 7/8″ Gem Cut Glass Jewel Reflector in 7 colors: Your Choice of Amber, Blue, Green, Red, Clear, Clear Rainbow (Polarized), and Yellow. 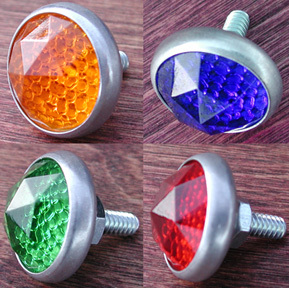 Cool Gem Cut or Facetted face Glass Jewel Reflectors. 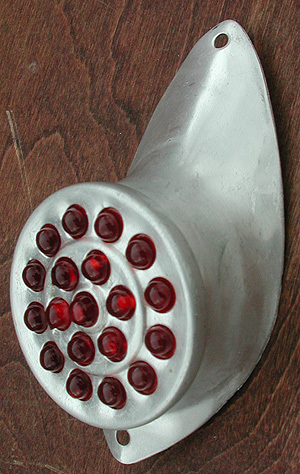 These were used on Schwinn balloon tire 9 and 6 Hole Racks and Other Vintage Bicycle Racks. Also used on Antique Automobile and Motorcycle Licence plates. 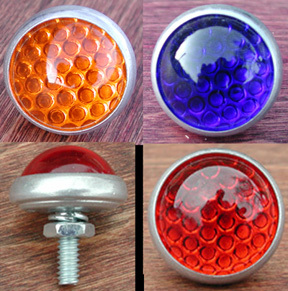 The reflector has a #10 threaded mount stud, that is 5/8″ long, comes with a nut, and mounts to a 3/16″ hole. The photos were taken with the reflectors reflecting Light, you can see the color and brilliance, when not in direct light the reflectors are a deeper Antique Color. 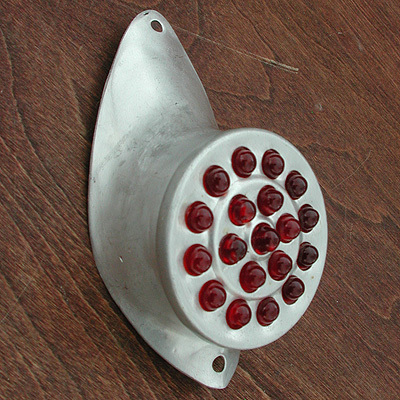 A Beautiful Glass Reflector to accent your Antique Schwinn Bicycle and Other Vintage Cruiser Bikes. 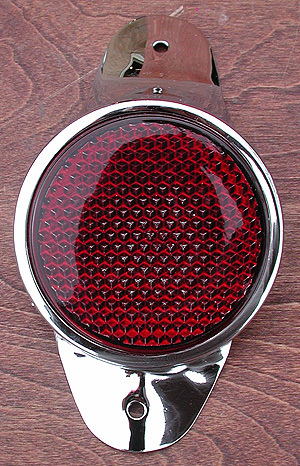 Reproduction of a Deluxe Schwinn Black Phantom Bicycle Glass Reflector that mounts to your rear fender. 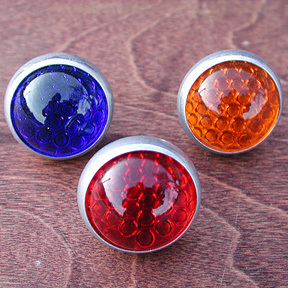 Stylish, Great for your Antique Vintage Schwinn Cruiser or Custom Chopper Bicycle. 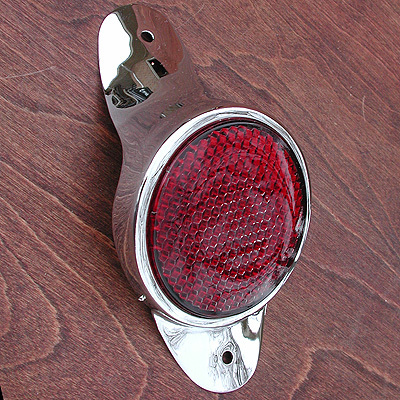 This is a New Reproduction of a Schwinn Black Phantom rear reflector. Nice Chrome, Construction and Glass Reflector. 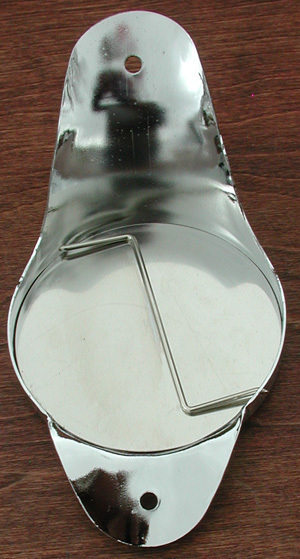 The Reflector was used prewar and post war deluxe Schwinn ballooner bikes like the : Phantom, B-6, Panther, and Autocycle. 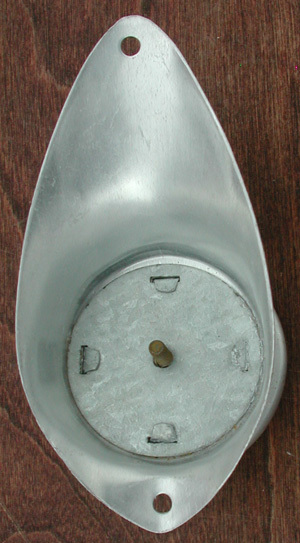 The reflector mounts to your rear fender with 2 bolts. 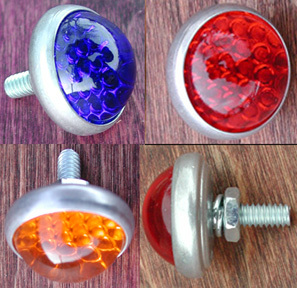 Nice look and performance for your vintage bicycle restoration.